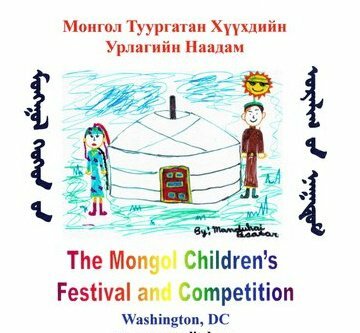 Mission: The purpose of the Mongol Children’s Festival and Competition is to discover and initiate Mongol children’s talent, make their talent available to the general public, and to pass on Mongolian culture and customs to the new generation. This Children’s Festival and Competition is held annually around the International Children’s Day or the Mother and Children’s day, as it is known in Mongolia, around June 1st. Art: painting, drawing, clay, pottery, etc. 2. Registration: Children ages 13 years and under are qualified to participate in the Festival and Competition. Children will be categorized into three groups. The children who will be performing on stage will be notified their schedule on a day of the Festival. Each child’s performance should not exceed maximum of 5 minutes. By Kalmyk Brotherhood Society in News on March 22, 2013 .